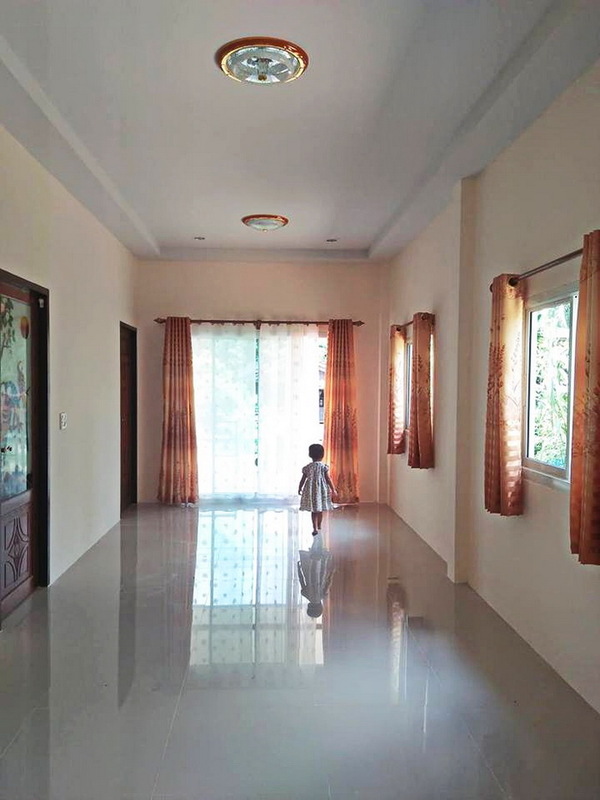 Wherever your house may be, you don't need to look far to make the place beautiful, amazing and comfortable for the whole family. 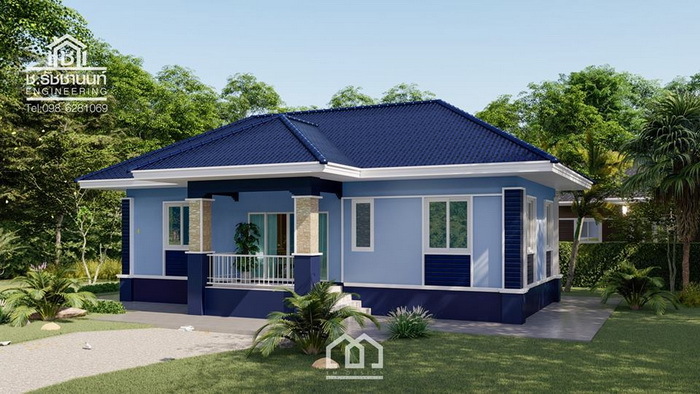 Building a house that is simple, budget-friendly and economical where your children could have fond memories of is easy. 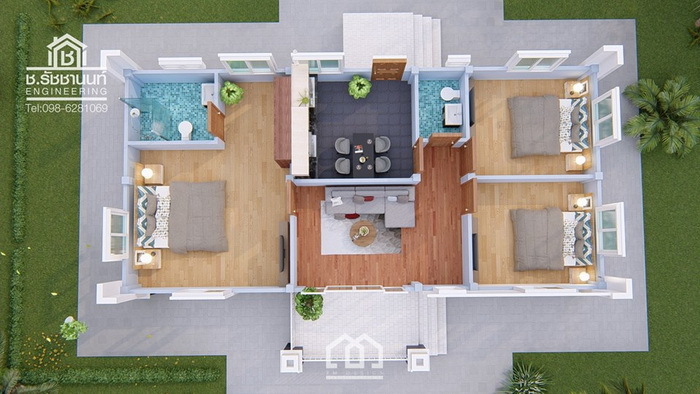 Find your design in one of these five houses featured below. 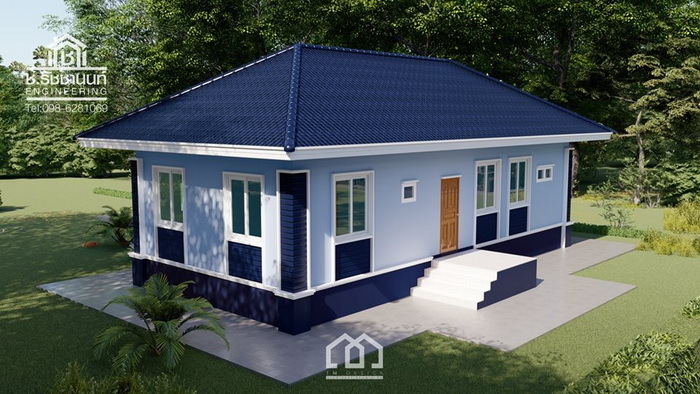 Contemporary style house consists of 1 bedroom, 1 bathroom, central hall and a kitchen. 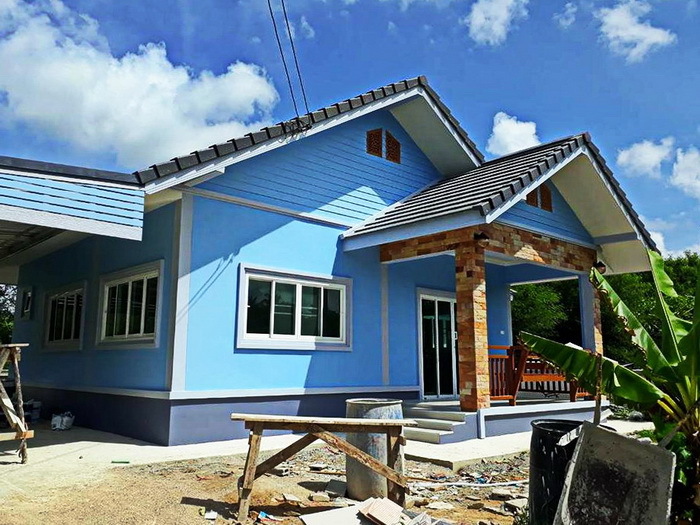 The construction cost is 439,743 baht (13,200 USD). 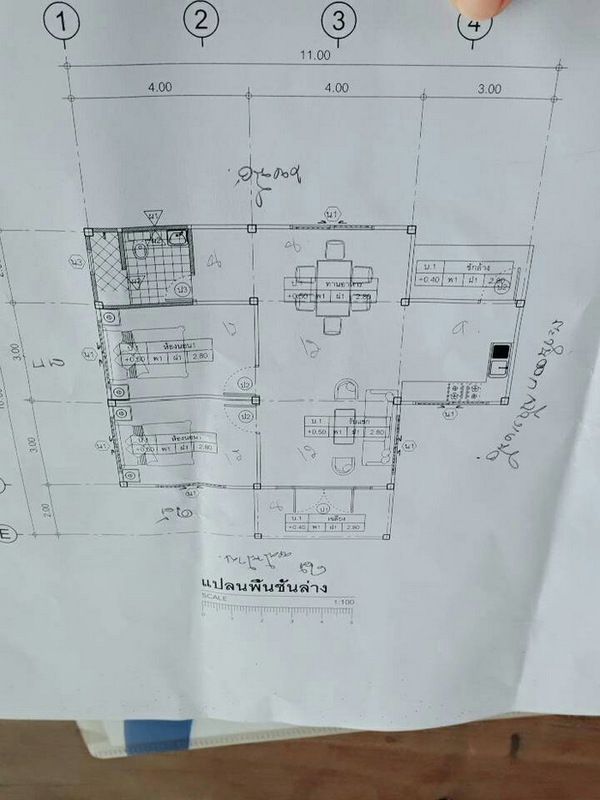 The house consists of 2 bedrooms, 1 bathroom, a central hall, a kitchen corner, a washroom and a parking garage. 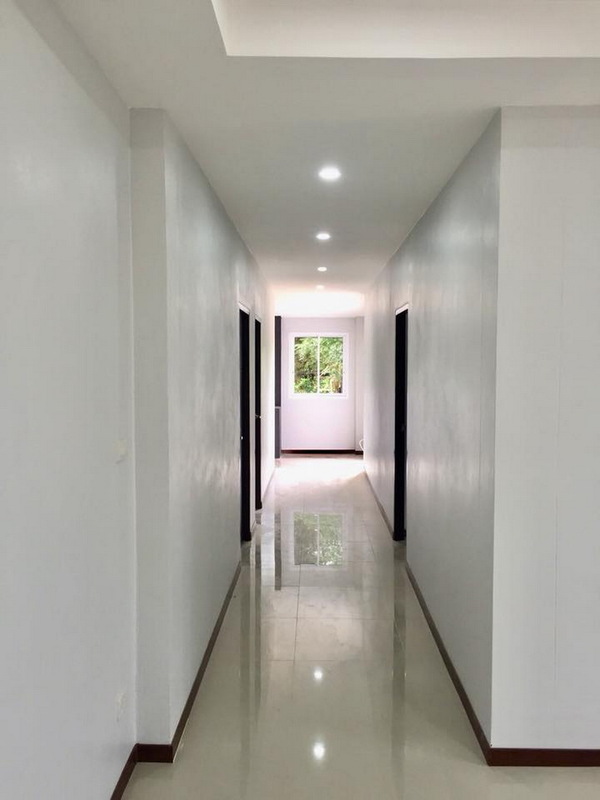 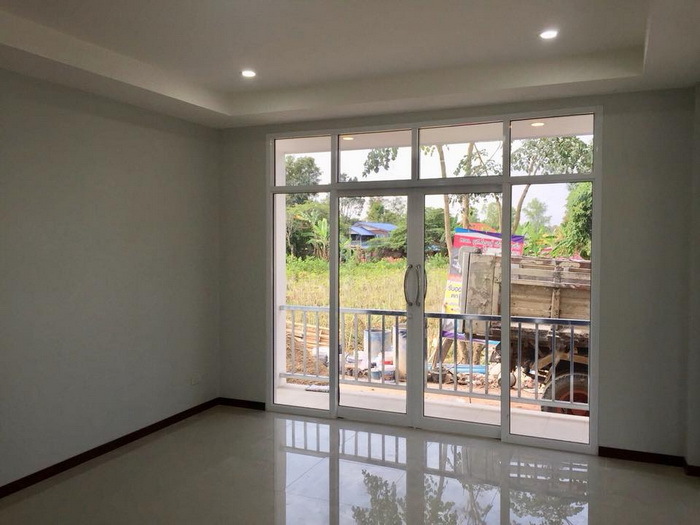 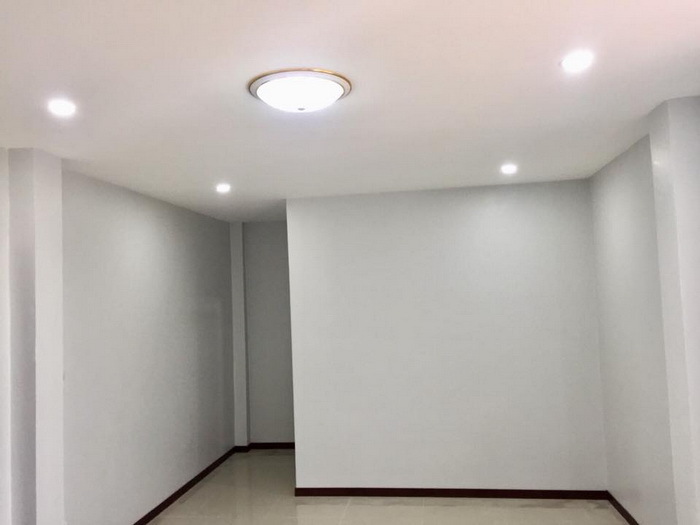 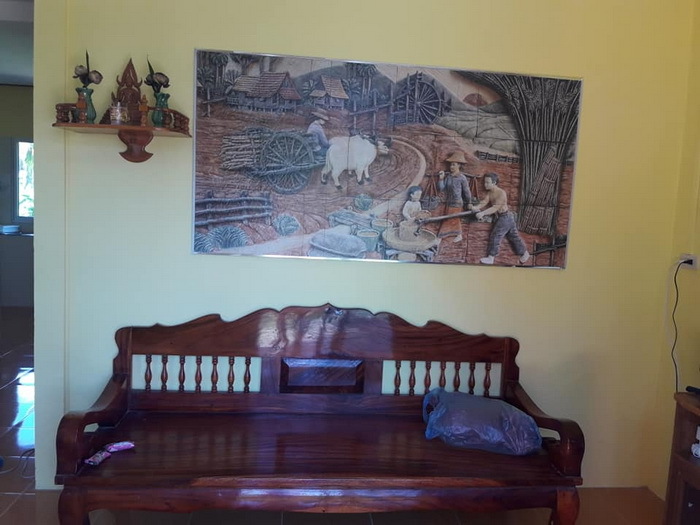 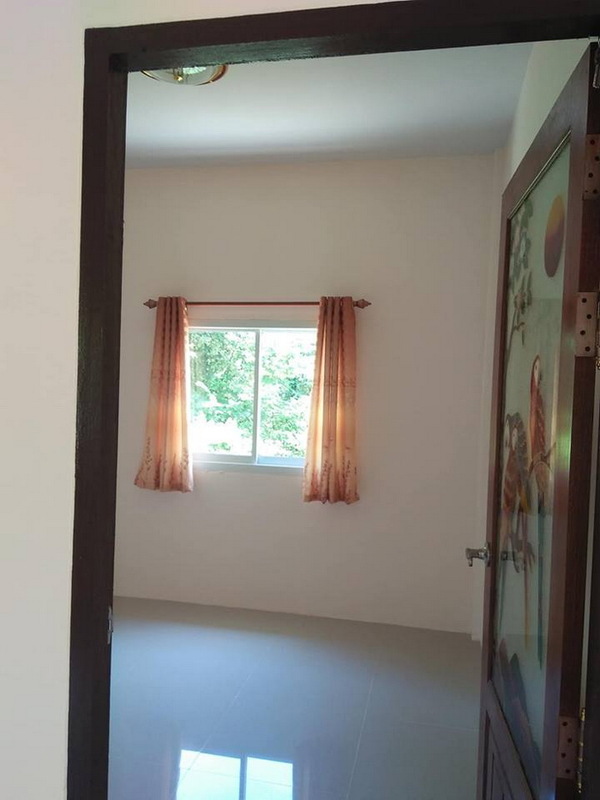 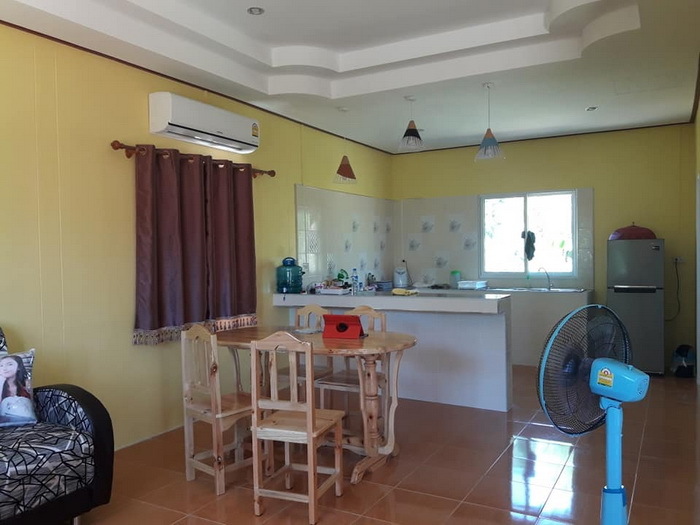 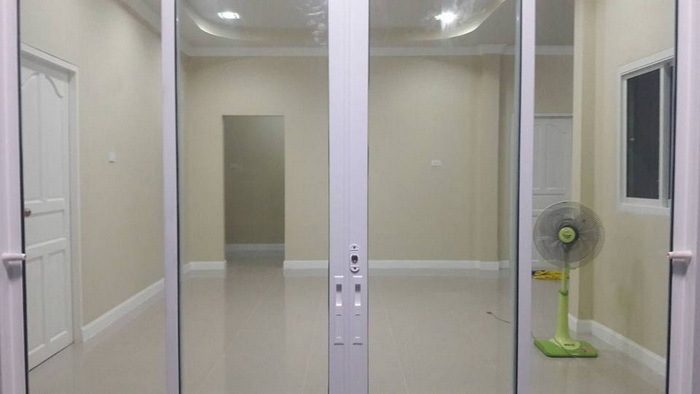 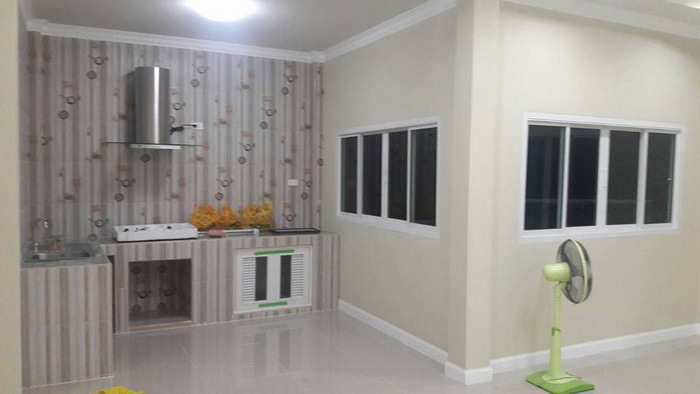 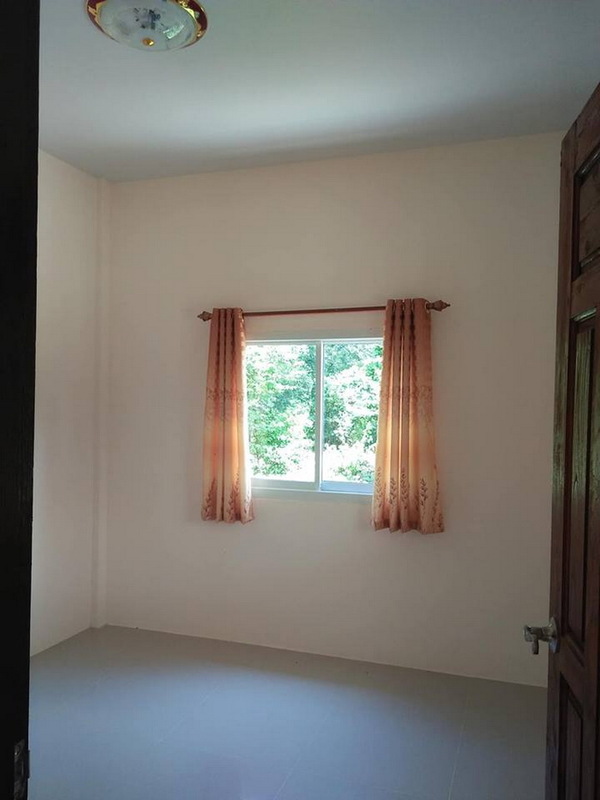 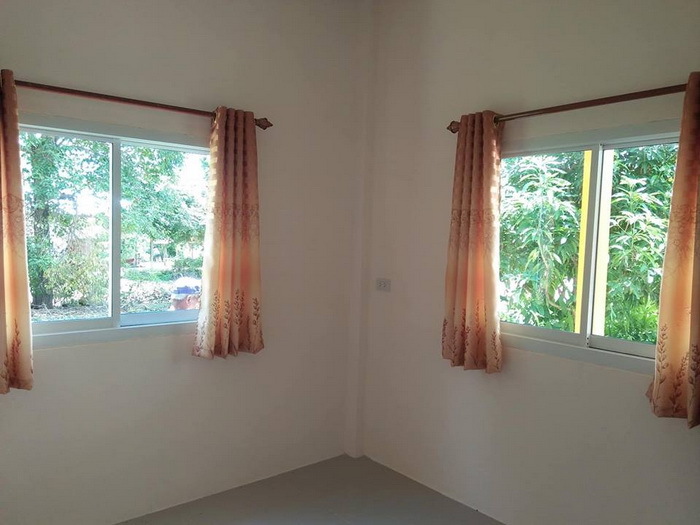 The area of 81 square meters is used for the construction of 800,000 baht (24,100 USD). 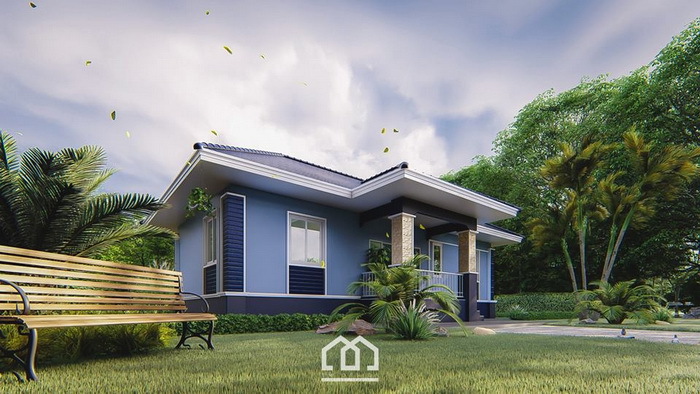 This house is a modern style. 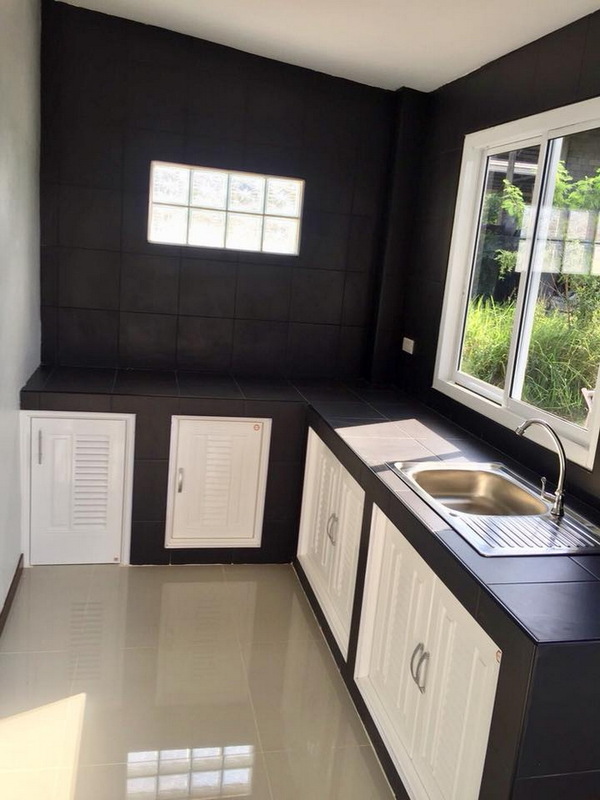 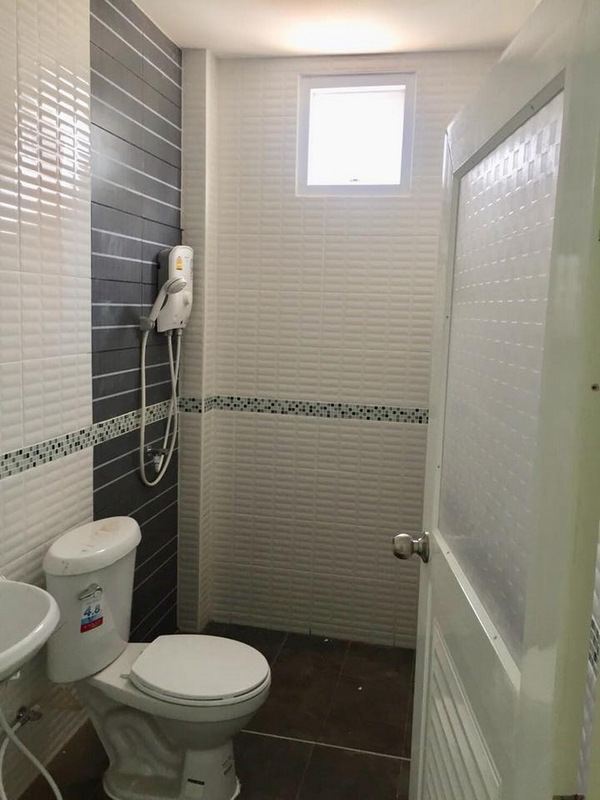 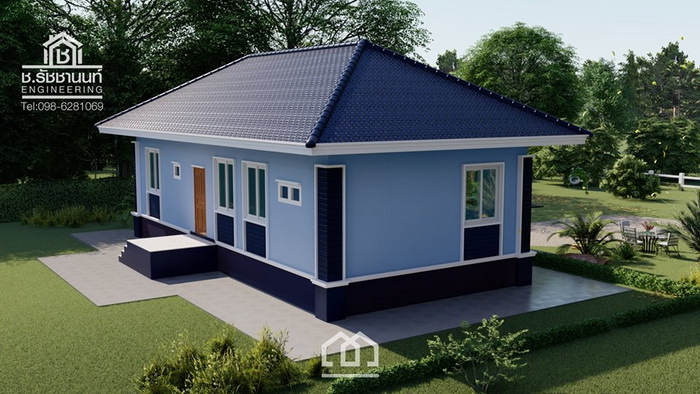 consists of 3 bedrooms, 2 bathrooms, a central kitchen and a garage. 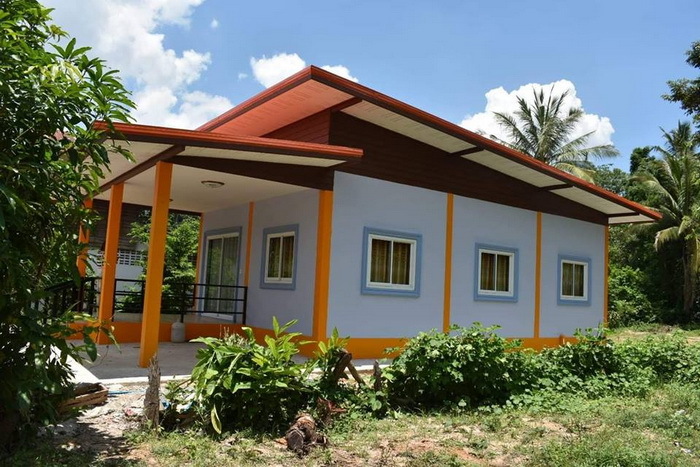 The budget is 1.2 Million Baht (36,200 USD). 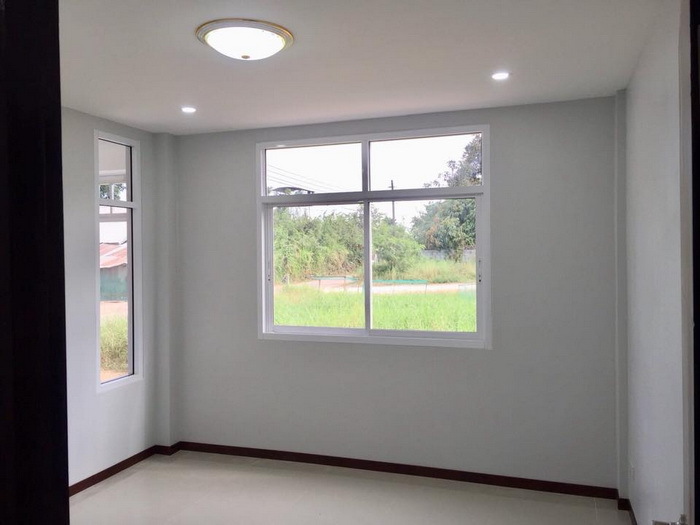 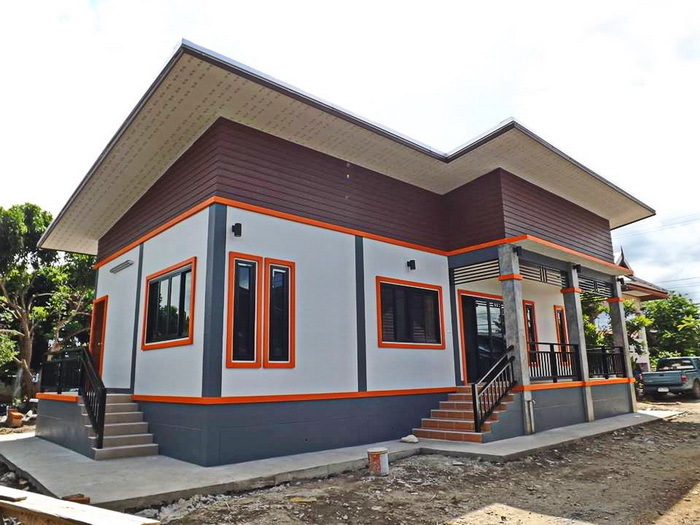 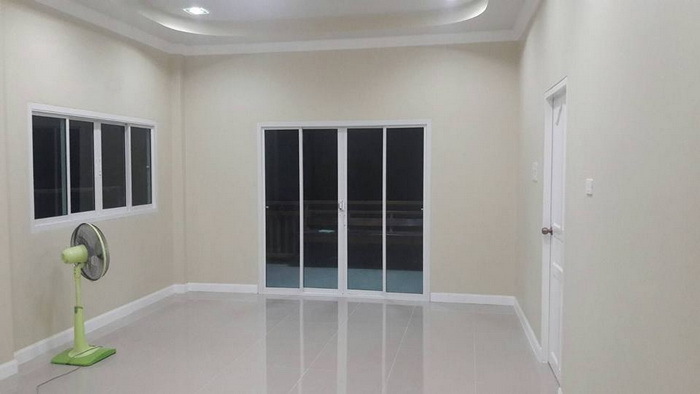 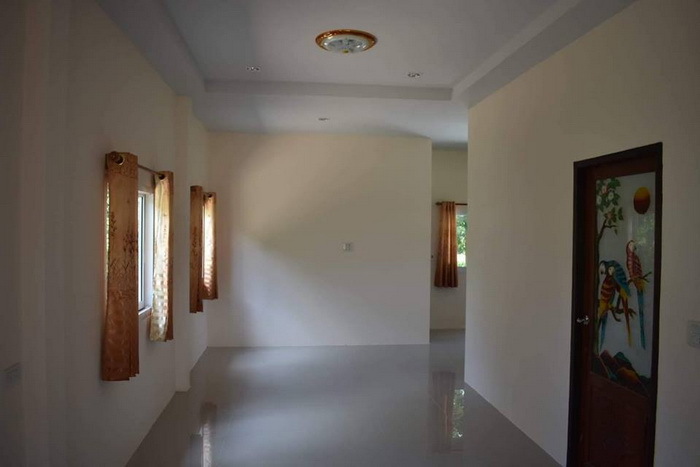 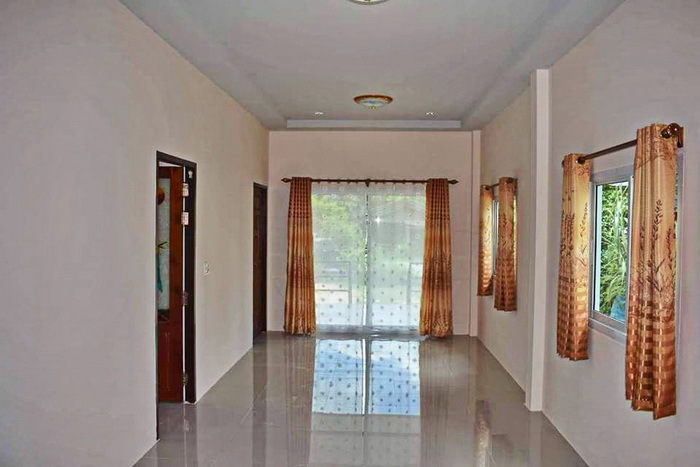 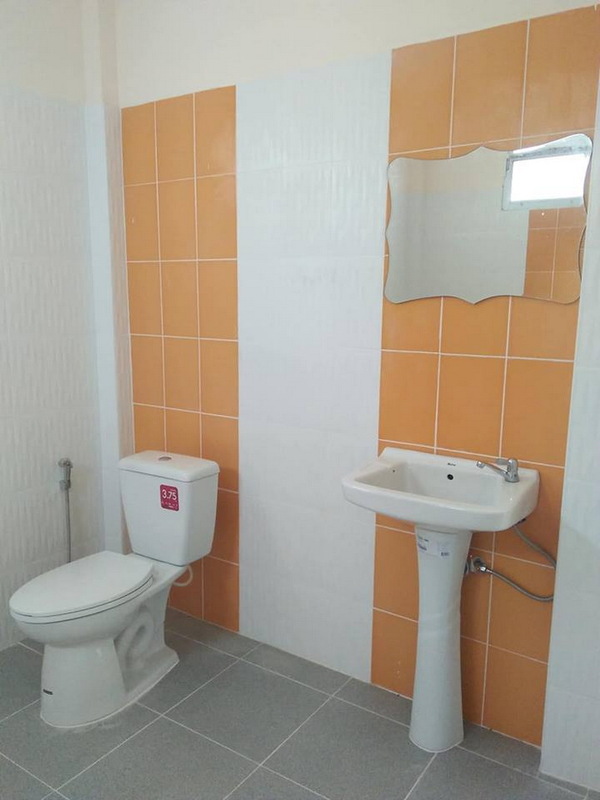 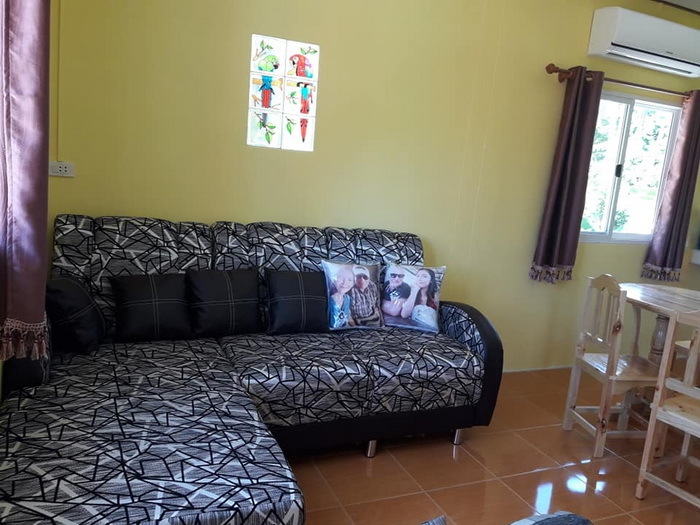 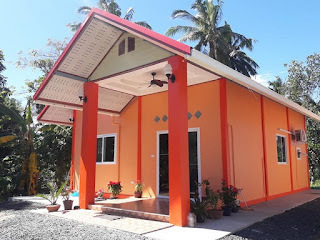 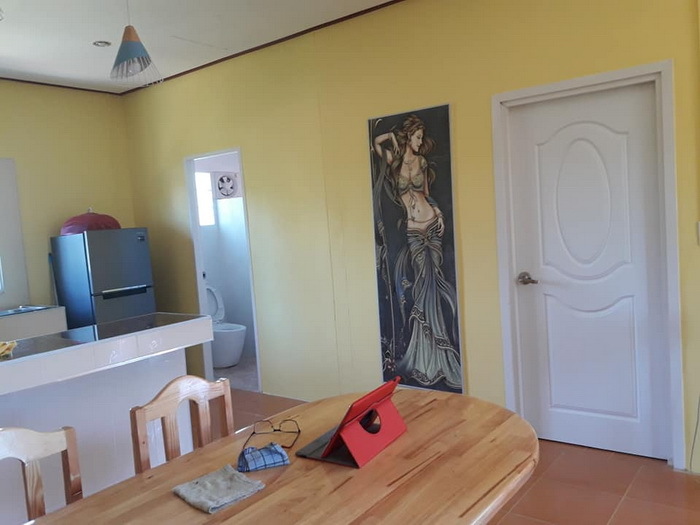 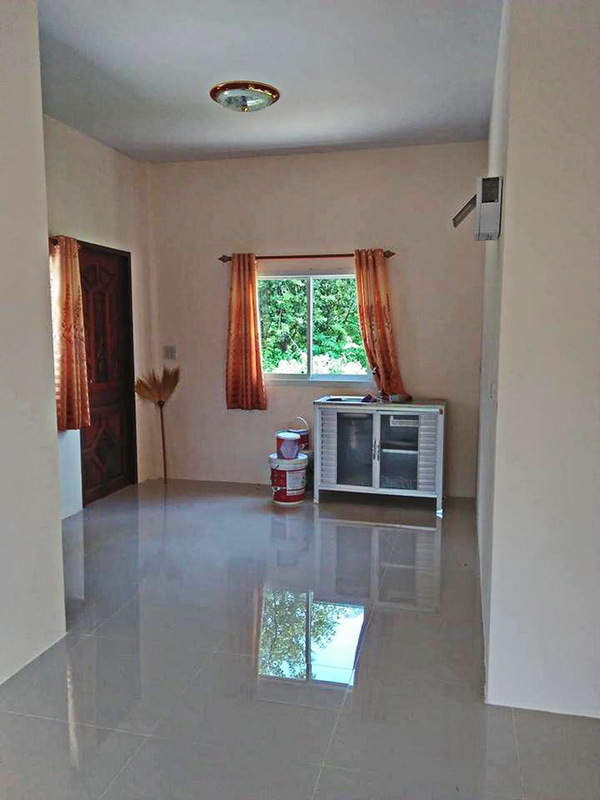 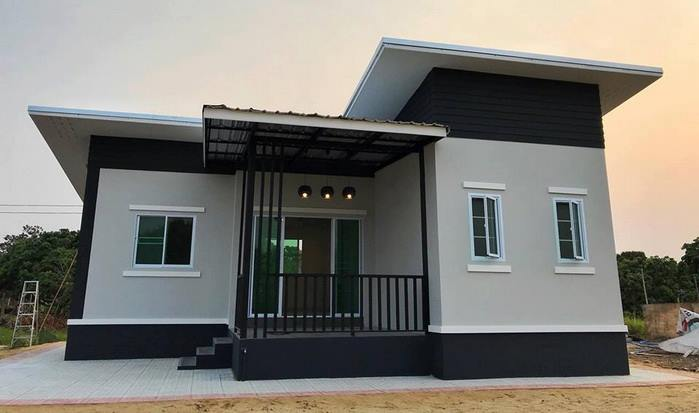 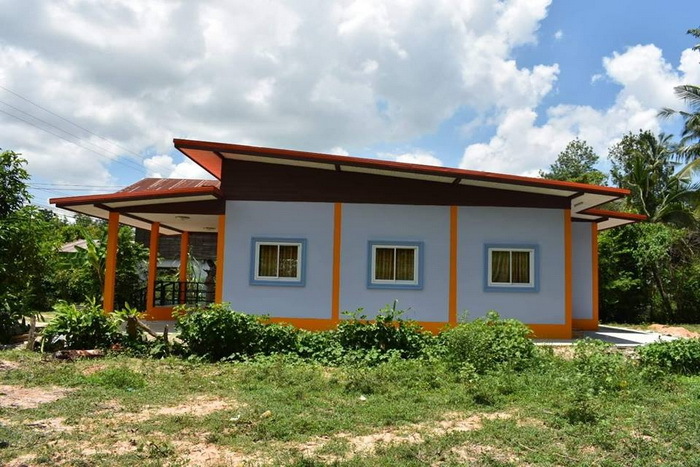 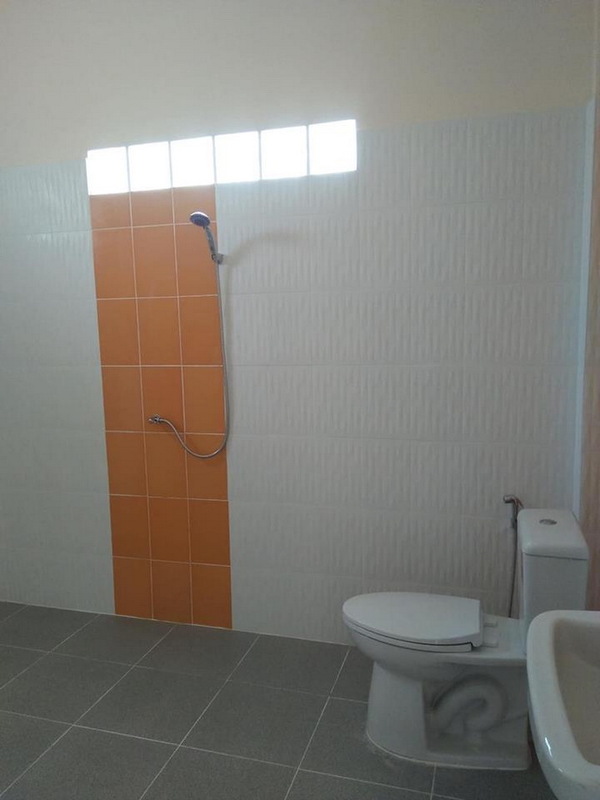 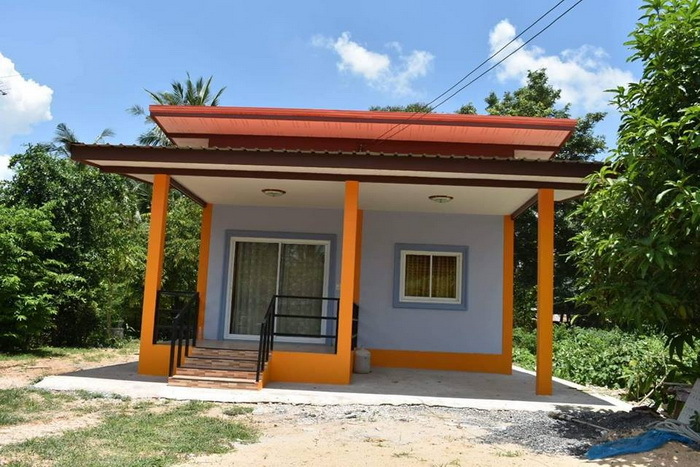 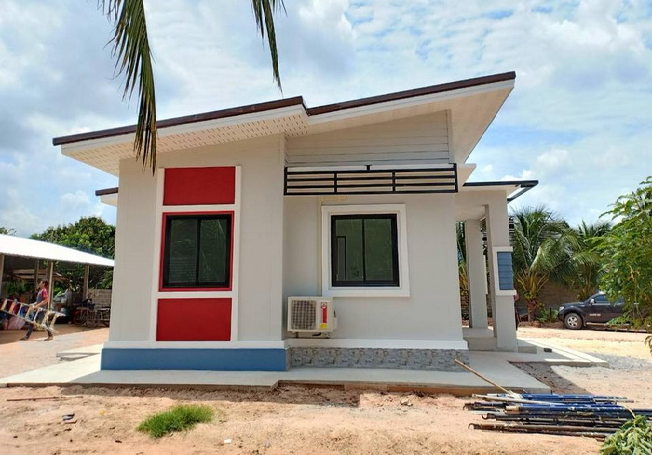 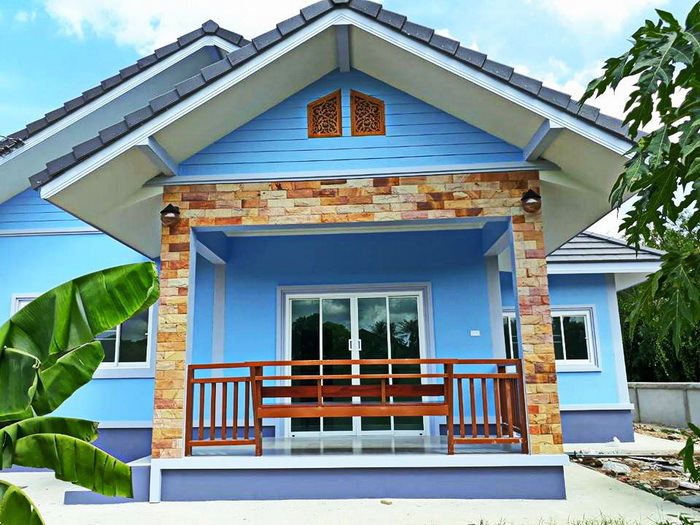 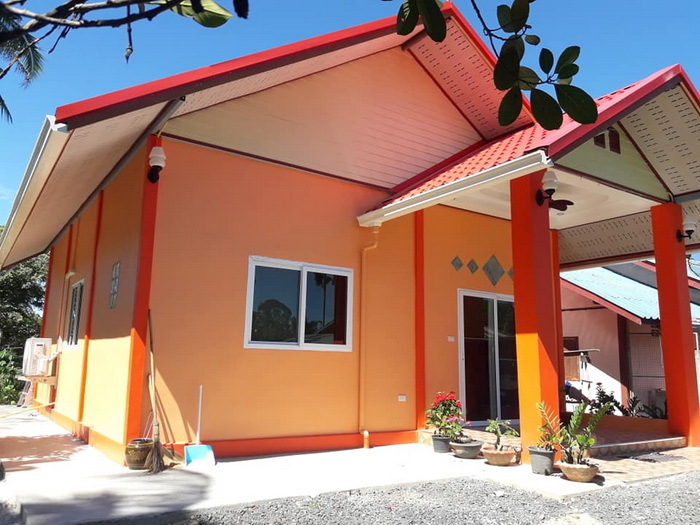 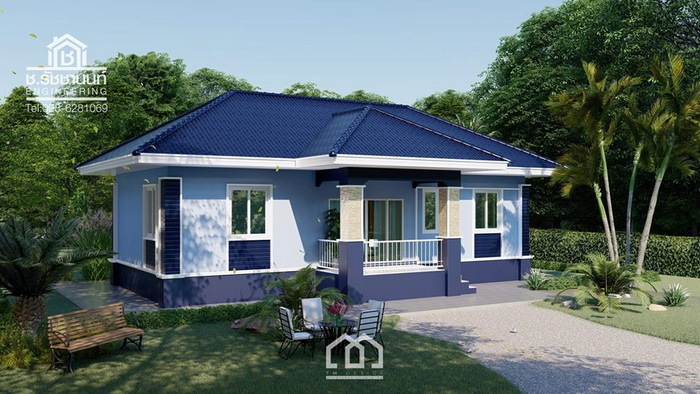 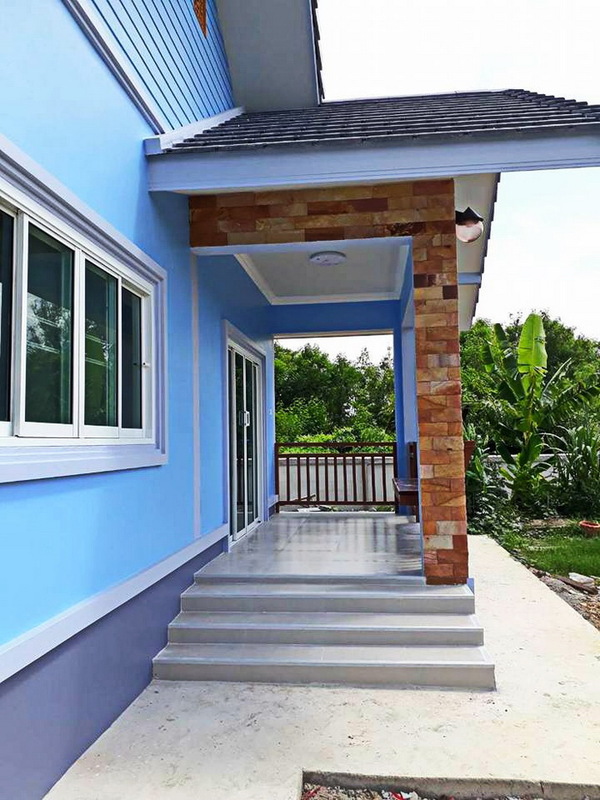 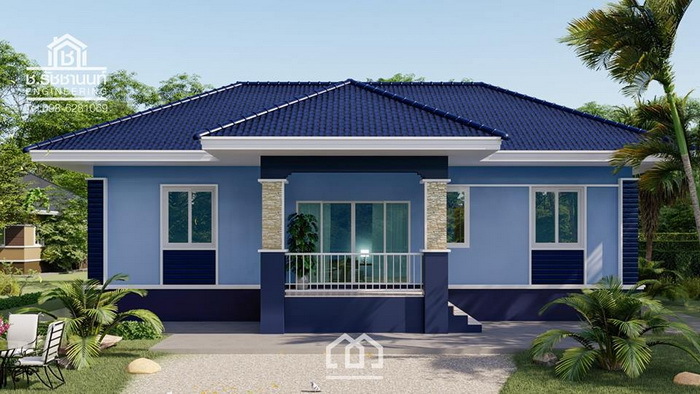 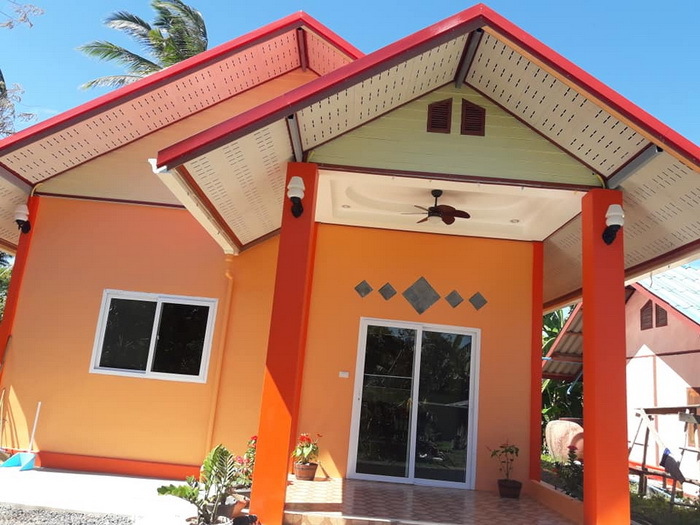 Modern single storey house consists of 2 bedrooms, 1 bathroom, hallway and front porch. 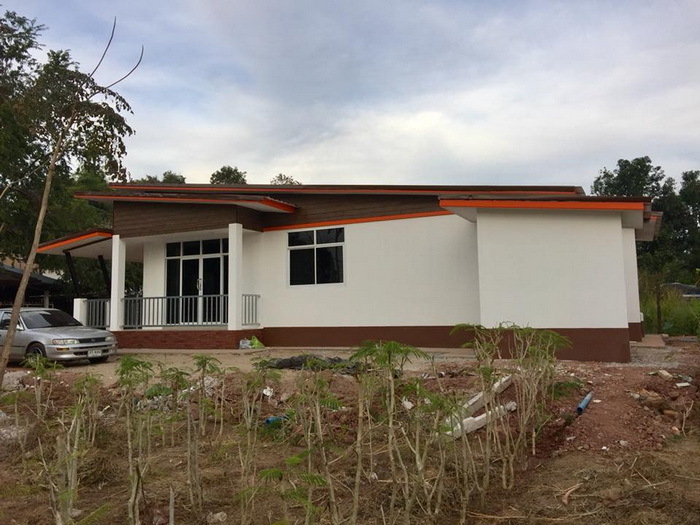 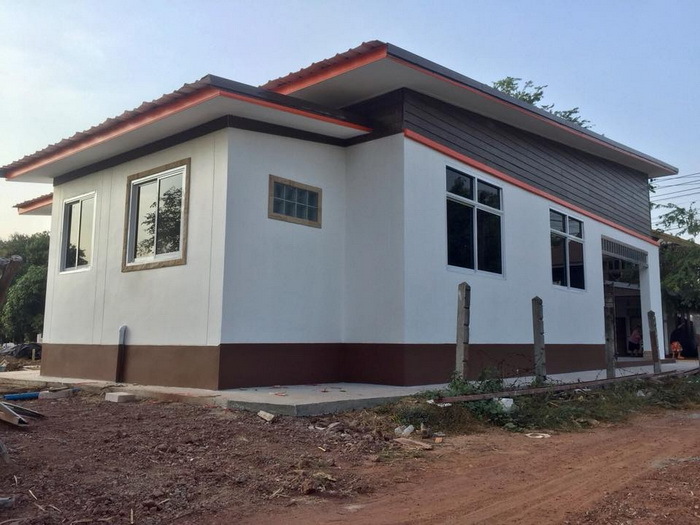 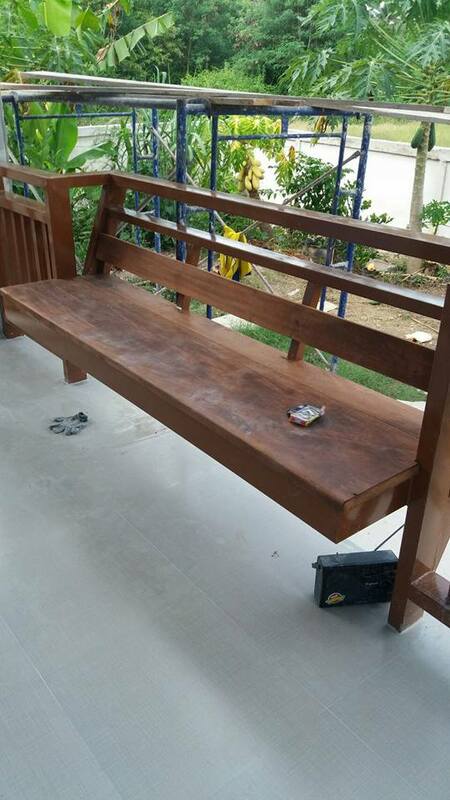 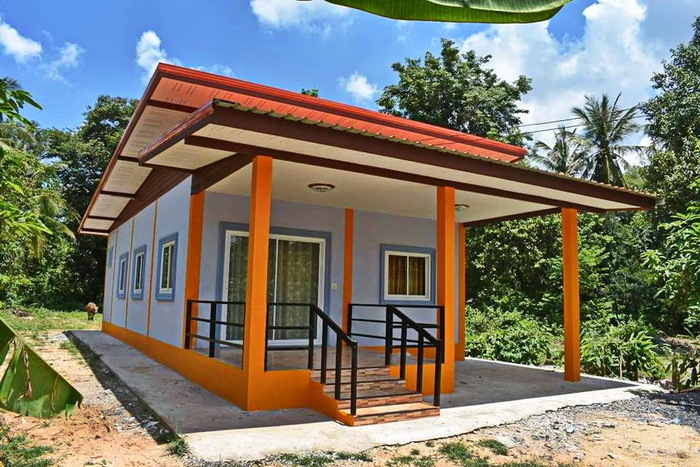 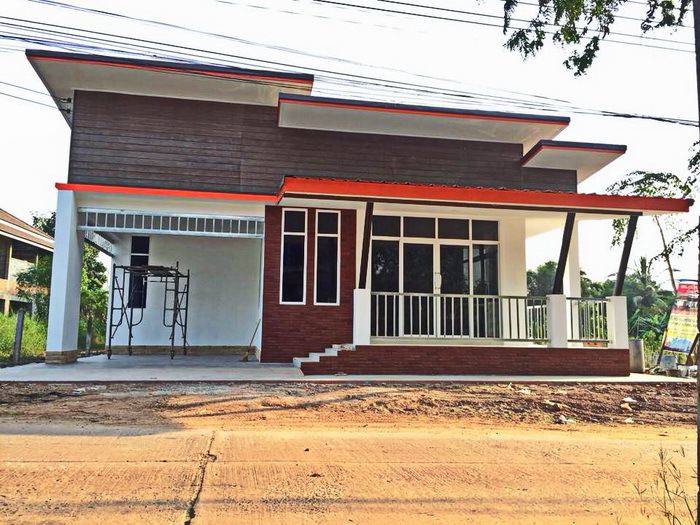 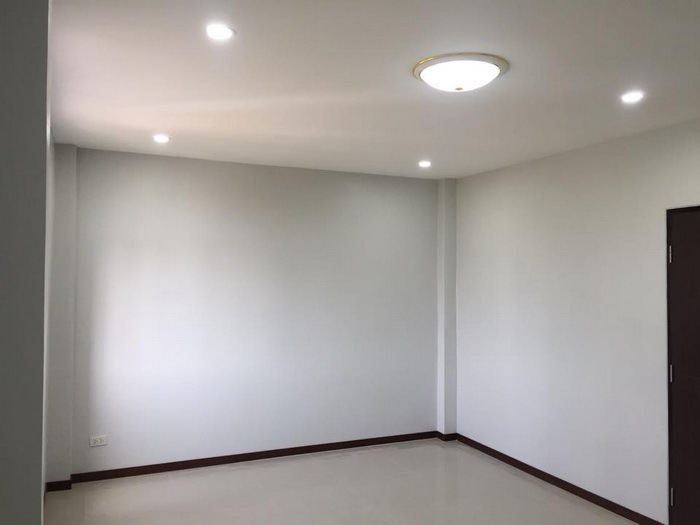 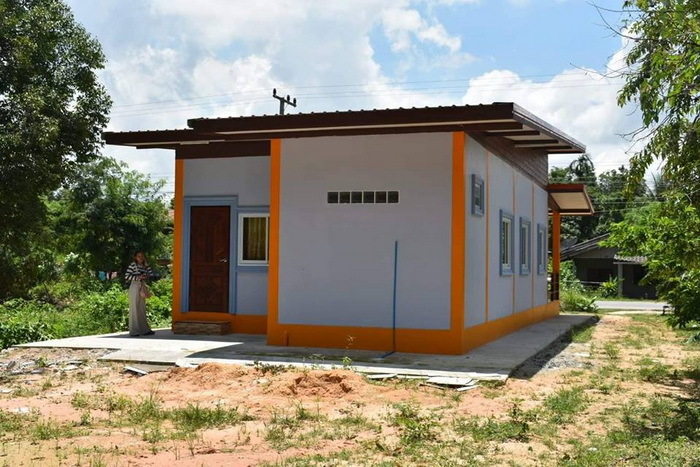 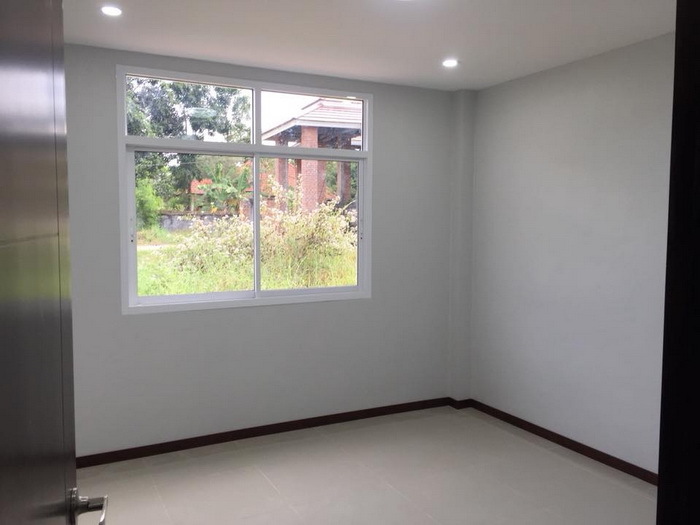 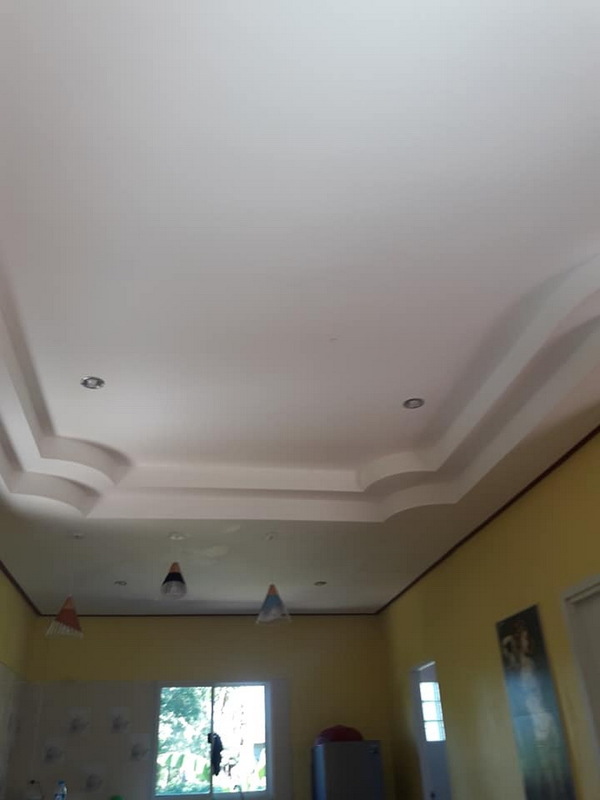 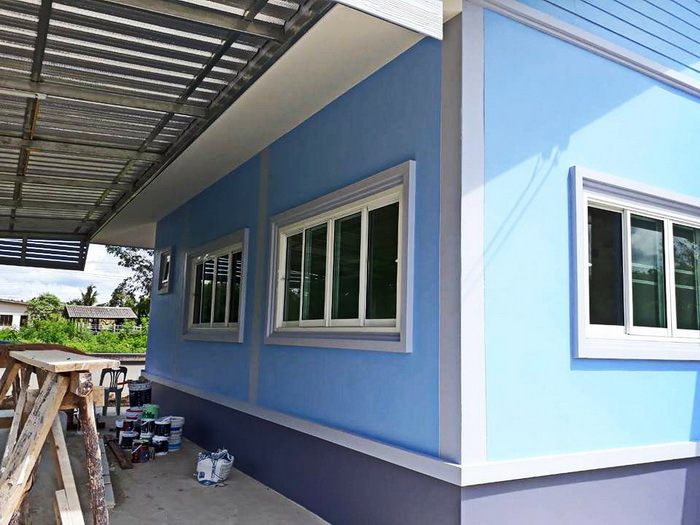 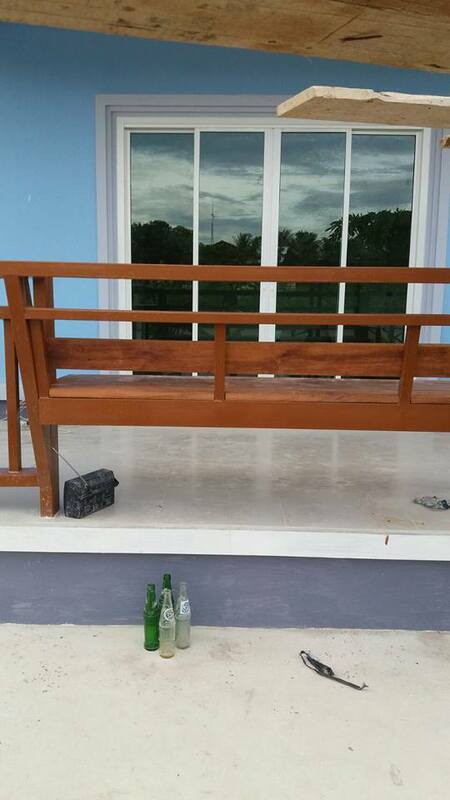 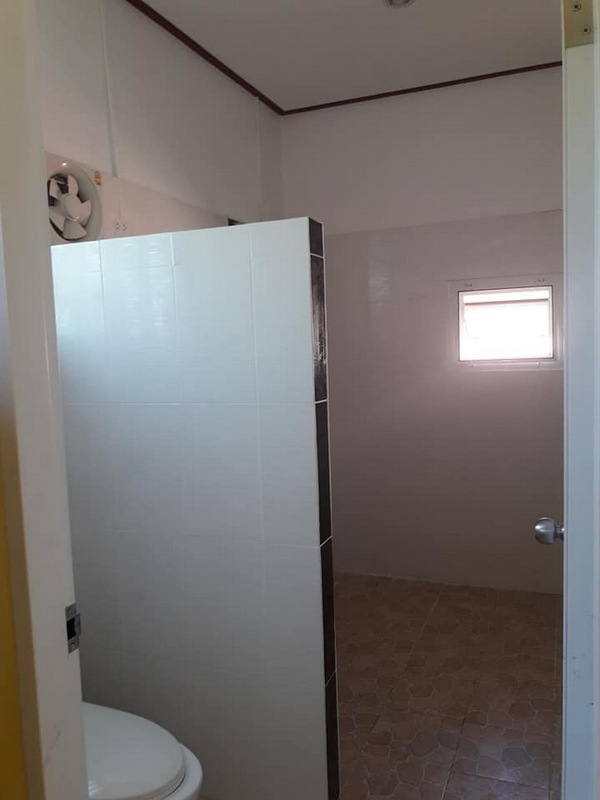 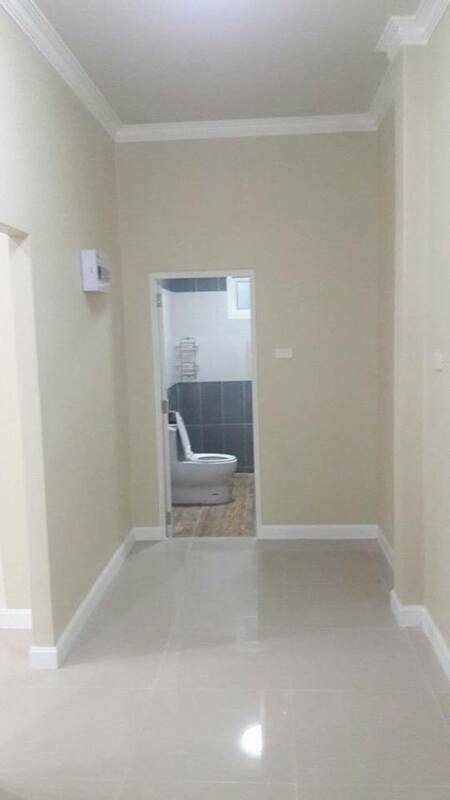 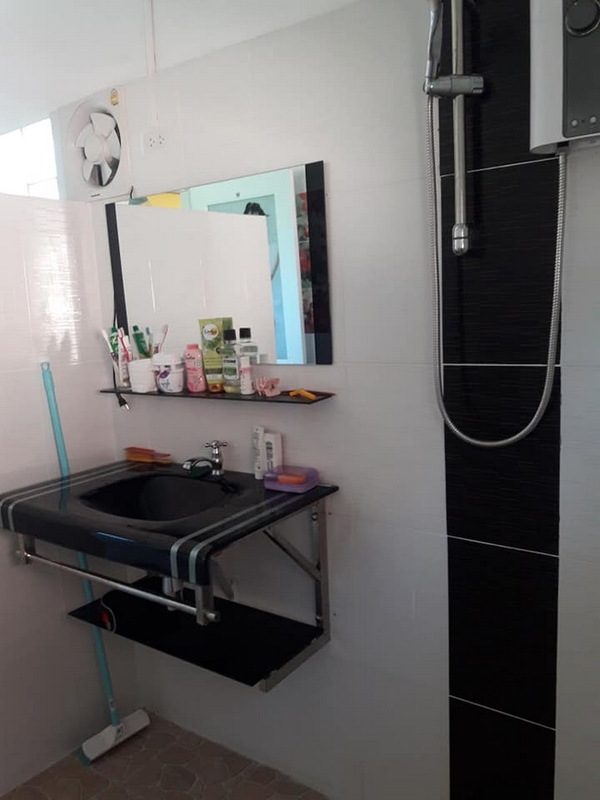 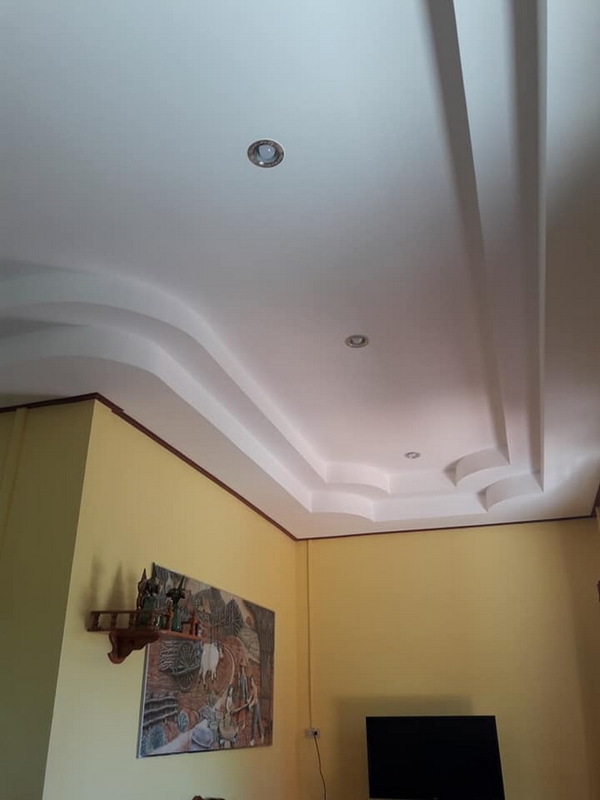 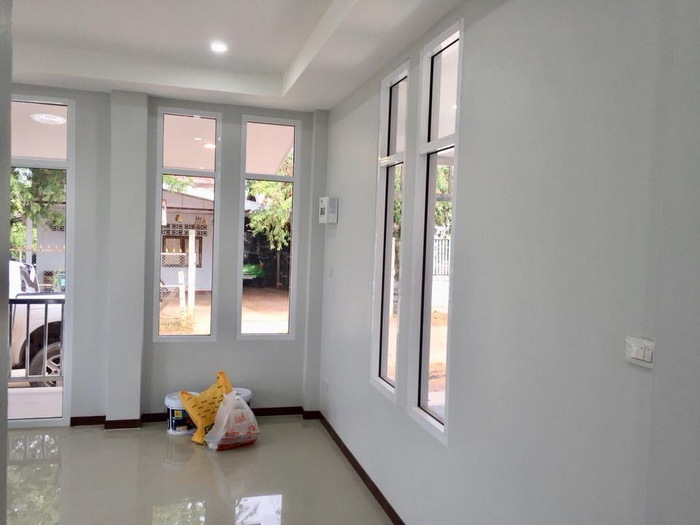 The budget for the construction is 620,000 baht (18,700 USD). 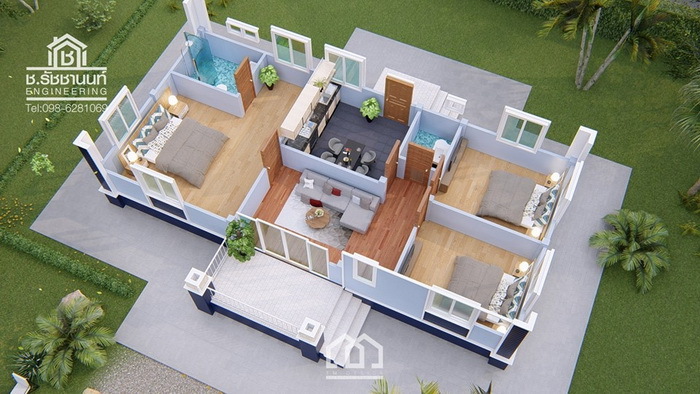 This one-bedroom in contemporary style consists of 3 bedrooms, 2 bathrooms, 6 meters wide, 13 meters long, and the total living space of 95 square meters.